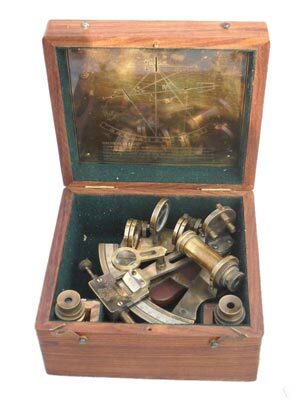 We deal in the finest quality Nautical Sextant, Kalvin & HughesÂ London 1917, Collectable Maritime, and Brass Sextant with two Telescopes & Wooden Case, Antique Reproduction solid Brass Sextant with Two Telescopes, Sine Chart, & Wooden Case, which are high on demand in the International market. 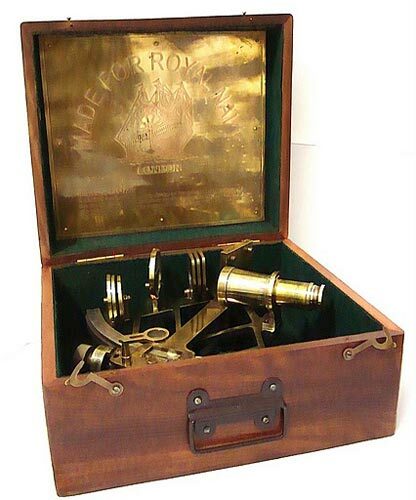 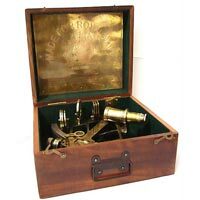 Marine Nautical Sextant, we are offering under the brand name of COLLECTABLE MARITIME NAUTICAL BRASS SEXTANT LONDON 1875, which is a navigational instrument containing a graduated, available with solid wooden box and is used as militaria, collectibles, and nautical item. 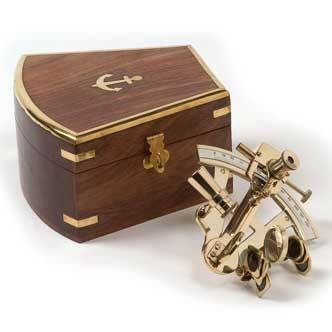 Brass Nautical Sextant is made from solid brass with special wooden box inside with antique looks of 60-degree arc, used for measuring the altitudes of celestial bodies to determine latitude and longitude, ideally designed for collectors. 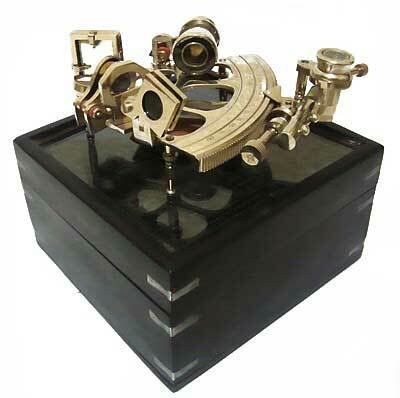 The beautifully crafted, hand-polished, solid brass Sextant manufactured to reflect the workmanship and materials of a more elegant bygone age. The magnificent, highly polished brass is complimented by case made from finest quality Rose Wood. All feature high quality fully coated optics making them highly functional products. 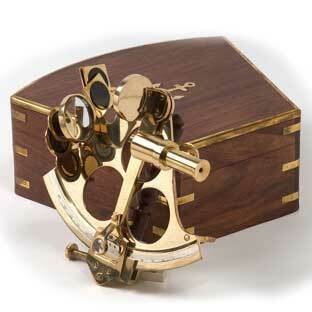 All models provide approximate images, so can be used for terrestrial viewing as well as for basic observations. 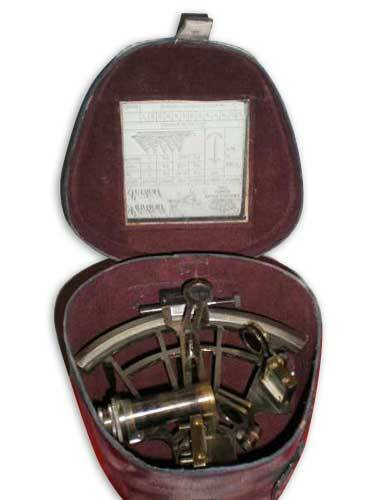 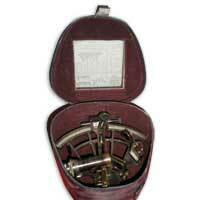 Apart from this, we are considered as one of the prominent Antique Nautical Sextant Exporters from India.